The Department of Labor and Employment says its Hotline 1349 will be temporarily unavailable on Good Friday, April 19, in observance of the Lenten season. It will resume its operation at 6 a.m. on Black Saturday, April 20. 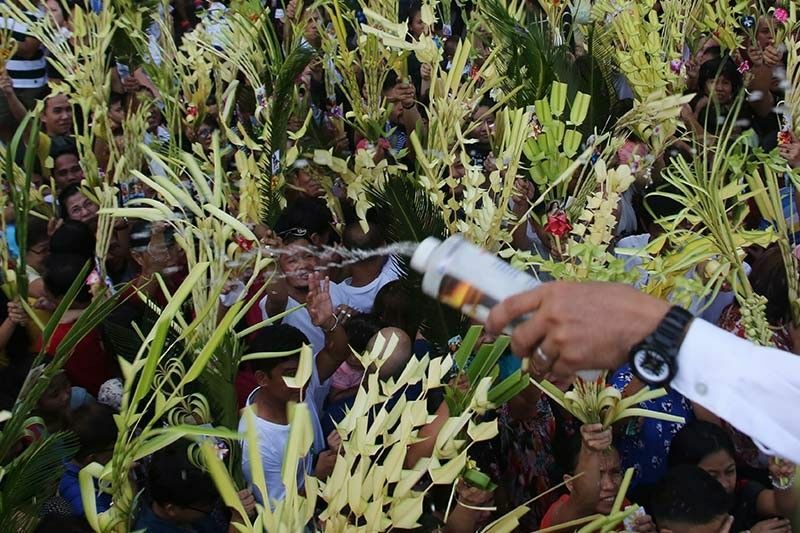 The Department of Public Works and Highways readies Guimaras roads for Holy Week, particularly the "Balaan Bukid," one of the most visited tourist destinations in Western Visayas during Lent Season for its famous "Pagtaltal" or crucifixion. "For the past years, both local and foreign tourists flock in the province to witness the famous 'Pagtaltal sa Bala-an Bukid' and it is our duty to make sure that all roads and bridges are in good condition for the safety of all the commuters," District Engineer Rhodora Nuñal says in a statement. Nuñal says 128.962 kilometers of the national road network in Guimaras province are all paved. Get the latest on road situations and other updates as the nation reflects on the last hours of Jesus' life this Holy Week.